* At one point it seemed to have morphed into a fruity floral with a bit of a kick. * During this portion, if you sniff really closely there is a hint of oud behind the rose. Not overbearing, it kind of just levels out the sweetness. * The flowers fade away for a base that is a soft mix of light leather, woods, and amber. Summary: Fleur oud is confusing. It makes me think again of the infamous “chess for girls” sketch from Saturday Night Live, but it goes both ways. A few times when I wore this, it felt like it could be a safe “non-oud” oud for women who didn’t want a skanky, dirty oud scent. 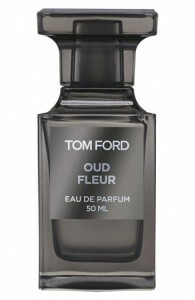 Other times I wore it, it seemed like a floral fragrance that a guy could wear without feeling too girly. Either way, this is one that definitely needs to be skin-tested several times to get the full story of how it works on your skin. Projection is strong for the first hour, but after it calms down it would be safe for office wear. Longevity is excellent for an EDP, lasting over ten hours. Together with Tobacco Oud, these two scents restore my faith in the Tom Ford Private Blend line. This is the line that first got me into niche perfumes a few years back. The past few collections (Musks, Atelier D’Orient, and Jardin Noir) made me feel like the brand had lost their way but these two oud scents make me think that the line is ready for a comeback.